A Day On The Farm with Stonyfielder Katie! When I accepted the summer intern position at Stonyfield, I had no idea my third day here would be on the farm! The importance of organic farming and sustainability here at Stonyfield is essential to the mission. With this, Stonyfield requires all new employees to head to the farm for an Organic and Sustainability orientation so we can better understand the mission. Everything done at Stonyfield ensures that we are meeting our mission. Whether it’s creating plant-based packaging, decreasing our use of energy in order to be energy and cost efficient, or educating employees, everything comes back full-circle to our mission of creating a healthy environment for all! So here I am, my third day working as an intern at Stonyfield and I’m already on an organic dairy farm. But, it was a must to learn about where our delicious milk comes from and for us new kids on the block to learn all about Stonyfield and their mission in action. I also don’t think it’s a coincidence that this trip occurred during National Dairy Month, either. We really know how to celebrate, huh? Orientation began delving into the importance of sustainability. We were presented a problem: a growing population versus a limited amount of resources. We learned that we are losing over one million acres of healthy farming land every year, there are rising rates of extinction, our planet is heating up. With all these challenges coming our way, Stonyfield is a company that believes that you can help the world as a company and still sell product, because “we stand for more than yogurt”. How amazing is that? At Stonyfield itself, our 50kw solar electricity, porous pavement, and water reuse, show that large businesses have a huge impact on how they can change our environment for the better. I thought that it was incredible that this company has gone to such lengths to not only change the way they do things to cut costs, but to support the environmental changes they stand by. For example, the packaging reduction Stonyfield did saved $1.8 million annually but also generated efficiency and saved 36 truckloads of materials. Crazy, right? Next was all about organic. We learned about the benefits of eating organic products, the process of turning a conventional farm into an organic one, and Stonyfield’s own impact through creating organic products. Let me just say, it made me want to go out and reevaluate my grocery shopping. But, I was surprised to find out that around 82% of Americans on average shop organic. Pretty cool, huh? One thing that Stonyfield prides themselves on as a company is their commitment to helping conventional farms become organic farms. This process takes three whole years, working on building healthy soil and rely on nature rather than antibiotics, toxic pesticides, and chemicals. The hard work is worth it, though! Instead, cows are treated with vaccines, herbal remedies, homeopathy, and acupuncture (hey, the life of an organic cow sounds like a dream to me!). Stonyfield has worked hard to support over 200,000 acres of organic farmland, and in the process has avoided over 460,000 drug treatments and 200,000 pounds of toxic pesticides through this journey. Way to go guys! Organic milk starts with family farms and family cows who work hard to produce great products. 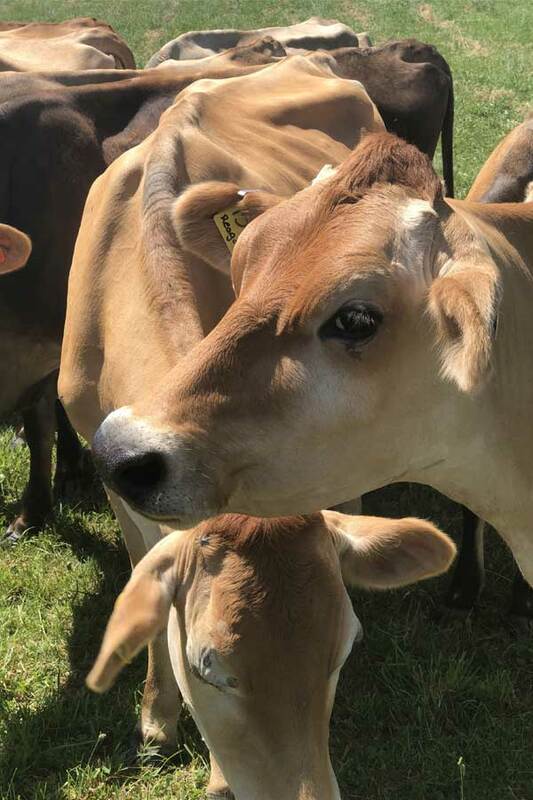 The second part of our orientation involved us hopping on a bus and heading over to the University of New Hampshire Organic Dairy Research Farm in Lee, New Hampshire which is a facility of the NH Agricultural Experiment Station. Here, we got to see a working organic dairy farm in action, which was a new for me. 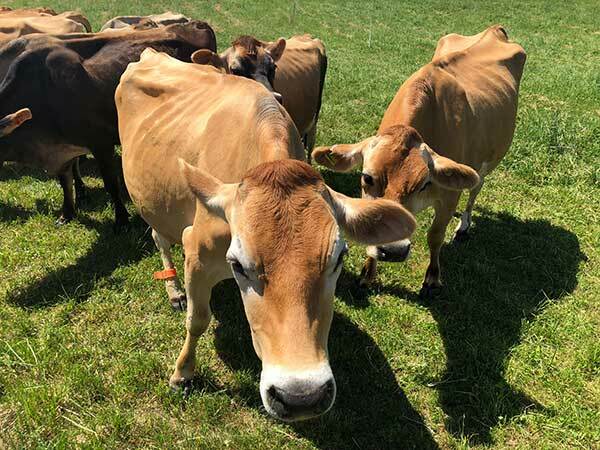 We were lucky enough to explore the farm with the farm’s manager, who explained the day-to-day operations on how he runs his organic dairy farm. These include the grazing, milking, and overall care that the dairy cows are provided. 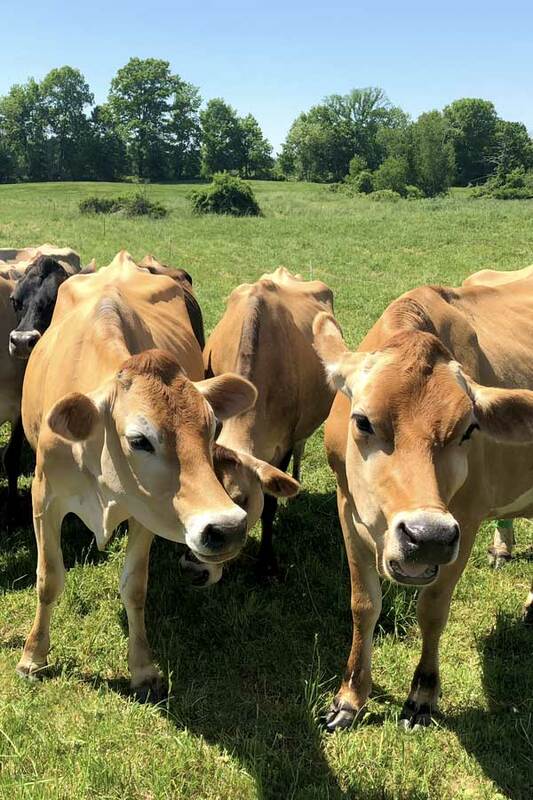 Each is done to ensure that the cows are happy and producing the best organic milk, which ends up here at Stonyfield! It was great to be hands-on and see the clear difference between conventional dairy farming and organic dairy farming. This orientation was so crucial in helping new team members, like myself, understand not only the mission of Stonyfield, but the action behind it. There are so many things going on within our environment, and it was so eye-opening to me to see how Stonyfield tackles it the best way they can.